The Safe Routes STARS (Students Taking Active Routes Safely) Program provides pedestrian and bicycle safety instruction to 2nd and 5th grade students, parents, schools and community members across Mississippi and will promote safe walking and biking as a fun, healthy ways to get to and from school safely. School and community-based outreach events to encourage parent participation in safe, active transportation. Currently, the program has expanded to serve schools across the state. The program is available to all school districts in the state of Mississippi. The Safe Routes STARS Program is taught primarily in public and private schools but is also available to community organizations throughout Mississippi. 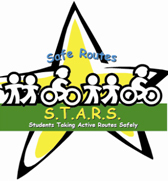 To arrange a Safe Routes STARS event, please use our event request form.